28. 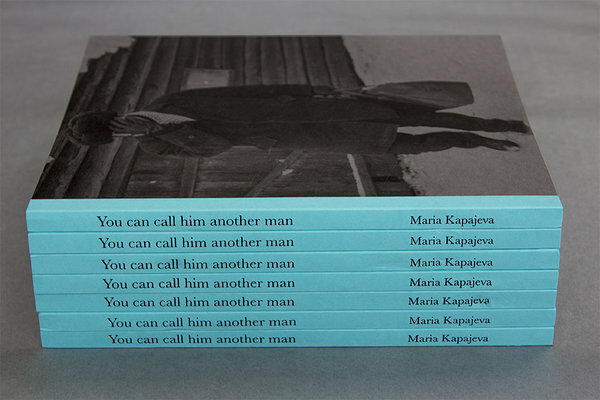 August raamatuesitlus: Maria Kapajeva "You can call him another man"
This summer the first artist book of Maria Kapajeva ‘You can call him another man’ was published in collaboration with Kaunas Photography Gallery and partial support by Estonian Cultural Endowment. The project started with a box of negatives Maria found at her parents’ house a few years ago. There were about 200 processed and unprocessed films, shot by her father. During her FATHOM Residency at Four Corners Film in London in 2015, Kapajeva excavated their contents, delving deeper into the lost images of her father’s life, to create her own stories by using these photographs he took before his marriage to her mother and Maria's birth. She let herself enter into the world of a young man she never knew, and find connections in what possibly cannot be connected being inspired by Italo Calvino’s words from his novel ‘If on a winter’s night a traveller’. The dummy of this book was shortlisted for FOAM Dummy Award (2016), TOP 10 of Self-Publish Riga (2016) and ‘Rock Your Dummy’ at Le PhotoBookFest in Paris (2015). During Maria’s residency at Kaunas Photography Gallery in 2017, Maria finalised her book and established a collaboration with the gallery for the publication. The book is printed bt KOPA Publishing House, Lithuania. 5. september raamatuesitlus: francisco martinez "remains of the soviet past in estonia"